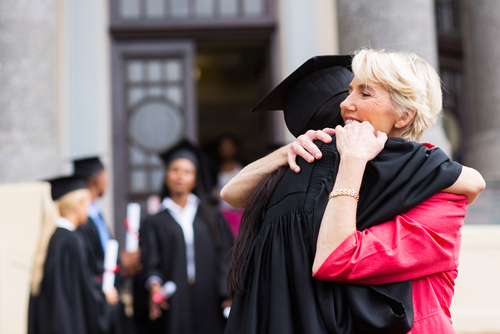 Parenting Determines Who Graduates College - Good Parent Inc.
New research from Pew may reignite the debate over parenting styles in the United States. Parents have previously defined their particular “style” by thinking in terms of key areas, such as sleep or discipline. Terms such as “attachment parenting” or “permissive parenting” have been helpful terms for parents with infants and toddlers. However, they seem to offer little guidance for parents with school-aged children whose world extends into the classroom and far beyond their own home. A staggering 80 percent of children raised by two college graduates said their parents encouraged them to attend a four-year school. This type of encouragement was recently studied by Pew Research Center and researchers from Brown University School of Medicine, Brandeis University, National Children’s Medical Center and New England Center for Pediatric Psychology, and presented in The Learning Habit. One of the most insightful trends in America is that college diplomas may be related to parenting style. More specifically, a modern approach, called Empowerment Parenting, which is based on the specific needs of school-aged children in grades K-12. This style encourages parents to use an open mindset and focuses on building persistence, as opposed to more traditional models that focus on discipline. In two studies, parents were asked to list different values by their order of importance. Core values are closely related to family habits and determine parenting style. Further probing found telling contrasts in the parenting style of college graduates verses non-graduates. Specific differences were noted in two key areas: persistence (grit) and compliance (obedience). In the area of obedience, only 5% of parents with a college degree ranked it as an important value, compared to 16% of parents without a college degree. Obedience is connected to a child’s compliance with demands. The Learning Habit research study found that parents who focus on compliance are the more likely to “lash out” at their kids by yelling and punishing. By demanding obedience, without rules in place, children may not acquire a healthy level of confidence in their decision-making abilities. Furthermore, they develop no emotional attachment to their goals, making it unlikely that they will persist when faced with obstacles. Both college graduates and non-college graduates listed “hard work” high on the list of core values. However, in highly educated households, 13% of parents ranked “persistence” as the most important value in child-rearing. Yet only 8% of non-college graduates ranked it as an important value. “Persistence” in pursuance of a goal, regardless of the challenges, is also known as “grit”. Additional research from the Learning Habit Study found that children with “grit” are 40% more likely to have emotional balance and 60% more likely to get good grades. That translates into overall happiness, educational and career opportunities, and greatly increased chances for strong relationships. Empowerment parenting is the only identified parenting style that focuses on building grit. In a recent study published by The American Journal of Family Therapy, parents who indicated using Empowerment Parenting techniques had children with higher Grit scores. These findings spotlight the need for parents to ask themselves a simple question when a child begins their formal education. “What is my educational goal for this child?” If college graduation is a goal, parenting styles may need to be adjusted. Taken together, these results capture the intensifying disparity between college graduates and non-college graduates in the area of parenting style. 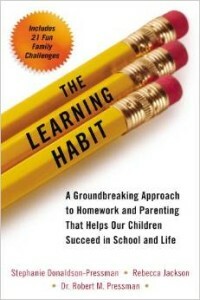 LEARN MORE: The Learning Habit gives parents research and case studies on Empowerment Parenting Techniques.